The word ‘govern’ comes from the Latin term ‘gubernare’, which means ‘to steer’. However, the success of any government has less to do with the act or omission of steering, but more to do with ‘what’ and ‘how’ it has steered. Our experience around the world has shown that many governments inherently have several challenges in discharging their responsibilities. Chief among them is the lack of clear focus on their strategic priorities, as most governments are unable to resist the temptation to do more in every area. Even when they get their priorities right, governments are large entities and tend to work rigidly and in silos, without detailed, implementable programmes. Successful governments invariably exhibit both ruthless focus in areas where they can or work to be competitive, as well as having a practical execution plan that they facilitate, with recursive iterations in implementation. Ruthless prioritisation is totally necessary given that resources such as time, man-power and funds are always finite. Governments must prioritise sectors and industries that would create the most beneficial impact for its economy. This would enable the government to dedicate the right amount of resources to ensure that these prioritised areas can be facilitated for increased growth. It also acts as a signpost for investors to know what areas their investment will be given the whole of government support and facilitation. Singapore, with no natural resources, set its mind very early on to focus on services supported by evolving manufacturing activities. Today, it is one of the world’s leading financial and logistic hubs as well as high-value R&D and industrial centres. In a similar vein, South Korea prioritised on export-led industrialisation as their main strategic plank, focusing on heavy industries and ICT activities. 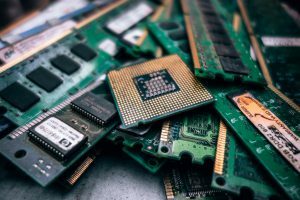 Following the global financial crisis in 2009 and with an economy stuck in the middle-income trap, Malaysia too decided to embark on a more pronounced productive sector prioritisation. Blessed with natural resources to produce agriculture and fossil commodities, rapid downstream value-addition to these sectors was pursued to secure markedly higher income. For instance, the oil and gas sector developed its erstwhile neglected mid and downstream value chain more concertedly, investing in storage and integrated petrochemical complexes that also allow it to tap higher value market segments but also paved the path into trading activities. Meanwhile, palm oil diversified very rigorously from edible oils and fats and basic oleochemicals to much richer segments of oleo derivatives, nutraceuticals and pharmaceuticals. Malaysia is fortunate that its earlier industrialisation path, driven primarily by FDIs in assembly of E&E & M&E products, created a complex economy that made later industrial prioritisation under the National Transformation Programme, including expansion into areas such as Internet of Things (IoT), aerospace, advanced materials and medical devices, an easier task. It literally took a leaf from Ricardo Hausman’s theory of monkeys and trees. The renowned economist uses the metaphor of a forest, where products are trees and firms and talent are monkeys. The closer the trees are to each other, the easier it is for monkeys to swing from tree to tree. “Economic development,” he said, “is the process of the monkeys colonising the forest.” In the Malaysian context, sub-segments such as E&E are the trees. They are heavily populated and primarily located in the northern corridor. They also produced highly skilled talents that have been able to spread into adjacent sub-sectors such as aerospace and medical devices due to common skills such as precision engineering and robotics. Strategic direction for economic development alone is not sufficient. It needs to be complemented by active facilitation during the delivery and implementation of strategic economic plans and projects. This entails building the collaboration between the public and private sectors to improve cohesion and obtain results from these projects. Once key economic areas have been identified, the implementation of priority sector projects identified need to be closely monitored and where necessary, intervention and problem-solving needs to be carried out to resolve any implementation issues. Having a multi-layered governance structure that operates both intra-ministry as well as inter-ministry is crucial. A multi-layered governance would improve communications between and within ministries to ensure programmes are implemented and problem-solved with the support of all relevant stakeholders. Governance will be even more effective if it has the commitment of the highest leadership, who can act as the ultimate arbitrator, especially on cross-ministry issues that hold back project implementation. Invest KL, a special purpose unit set up in 2011 with the sole objective of attracting 100 MNCs to set up regional hubs in Greater Kuala Lumpur, is a good example of successful active facilitation. It proactively scouts and handholds the investors’ entire investment process, in collaboration with other counterparts in the government such as the Malaysian Investment Development Authority (MIDA), the Kuala Lumpur City Hall and Ministry of International Trade and Industry (MITI). As at end-2017, Invest KL has attracted 73 MNCs with investment commitment of over RM11 billion and almost 11,000 jobs created. Similar successes were recorded across the prioritised sectors, from resource-based industries to services sector, thanks to the robust and effective governance structure that was put in place. First established in the UK as the Prime Minister’s Delivery Unit (PMDU) in 2001, the delivery unit model was emulated in Malaysia (PEMANDU – Performance Management and Delivery Unit) as well as Chile, Albania, Romania and Indonesia under different monikers at the national level. Conceptually, it is a discrete unit at the centre of government with a mandate to improve citizen and economic outcomes and improve oversight on government effectiveness and efficiency. In engaging key stakeholders to establish priorities, delivery units provide clarity to investors, both foreign and domestic, on sectors that will receive support in terms of resources and attention. This greatly helps them in making their final investment decisions. 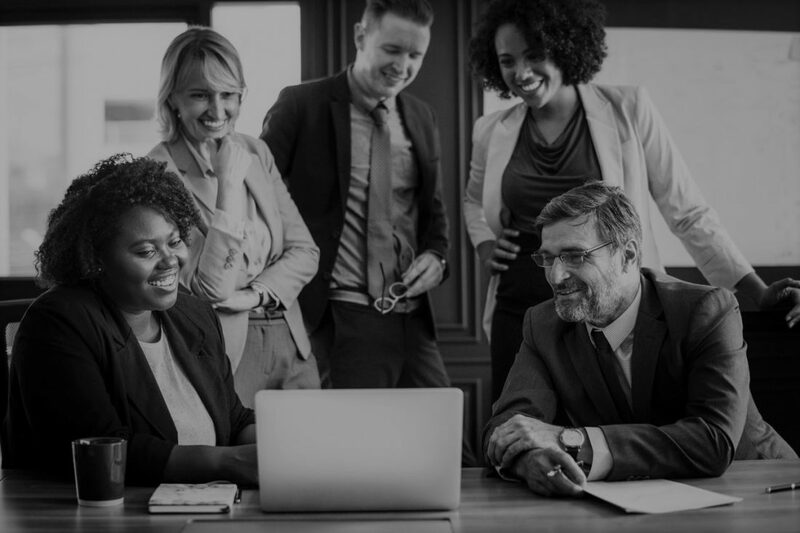 In addition, by proactively facilitating the implementation process, the investment hits the ground much faster, which also translates into earlier return on their investment. The delivery unit model shares many features of the Problem-Driven Iterative Adaptation (PDIA) approach which hinges on trying, learning, iterating and adapting. It promotes active experiential and experimental learning with evidence-driven feedback built into regular management that allows for real-time adaptation. 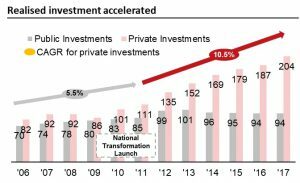 In the case of Malaysia, the economy flourished and investment gushed in with the introduction of the National Transformation Programme that was launched in 2010 and overseen by PEMANDU. The growth rate of realised investments almost doubled following the establishment of the delivery unit. Additionally, the share of private investment increased to 68% in 2017 compared to 52% in 2009 prior to the formation of the delivery unit. 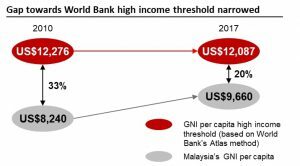 The investment levels achieved contributed to Malaysia’s growth with GDP consistently in the range of 4% to 6% since 2009, and the gap towards the World Bank’s high income threshold in terms of GNI narrowed from 33% in 2010 to 20% in 2017. Malaysia ranked 24th in World Bank’s Doing Business Report (2018), retaining its spot among the world’s top 25 economies on the Doing Business measures. While the outcomes of the delivery unit model vary from country to country, and even from area to area, it undoubtedly assists governments in prioritising the ‘whats’ and further improving the effectiveness of processes to get things done. From the case of Malaysia, the answer to the rhetorical headline question is firmly in the affirmative.